For my purposes, I’m going to call this block Georgia on My Mind. Mainly because the block is called Georgia and it’s on my mind. I have to admit that I’ve never been to Georgia so I think the state itself can’t really be on my mind. I’m sure it’s lovely though. 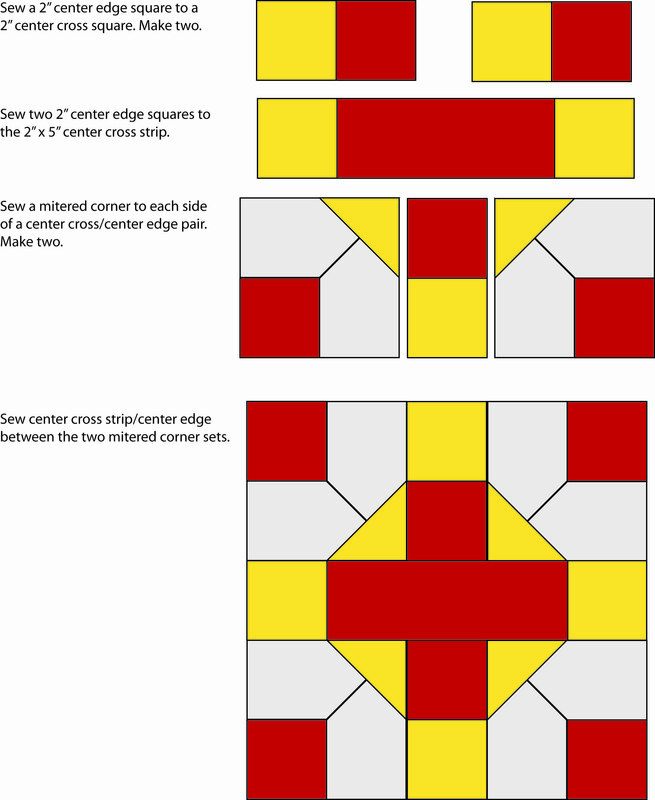 Taking inspiration from Amy’s lovely tutorial layout for the Japanese x and + block, I did up some drawings rather than photo explanation. 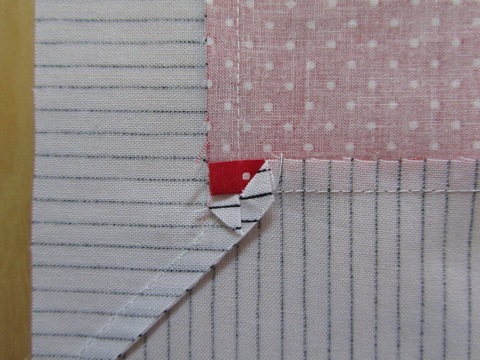 I’ve added some detail photos for the inset square. Click on the images below for full size. 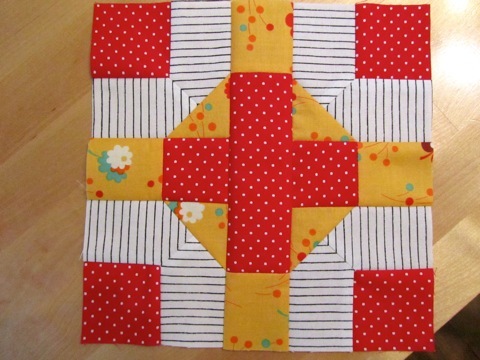 Honestly, you know me (lazy…), would I make you do an inset seam if I didn’t think it was the best choice aesthetically? You can do this! 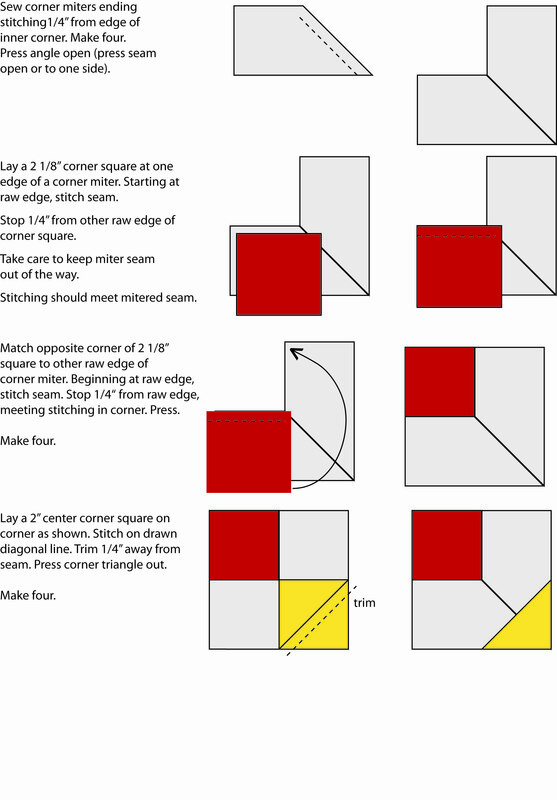 The photos below show how I pressed my corner blocks. The goal is to reduce bulk. You may find a better way that works for you. 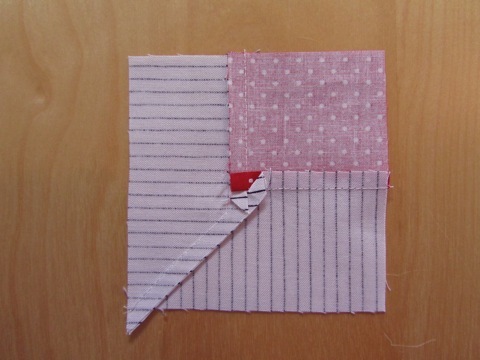 You may also need to trim the completed corners to 3 1/2″ square. 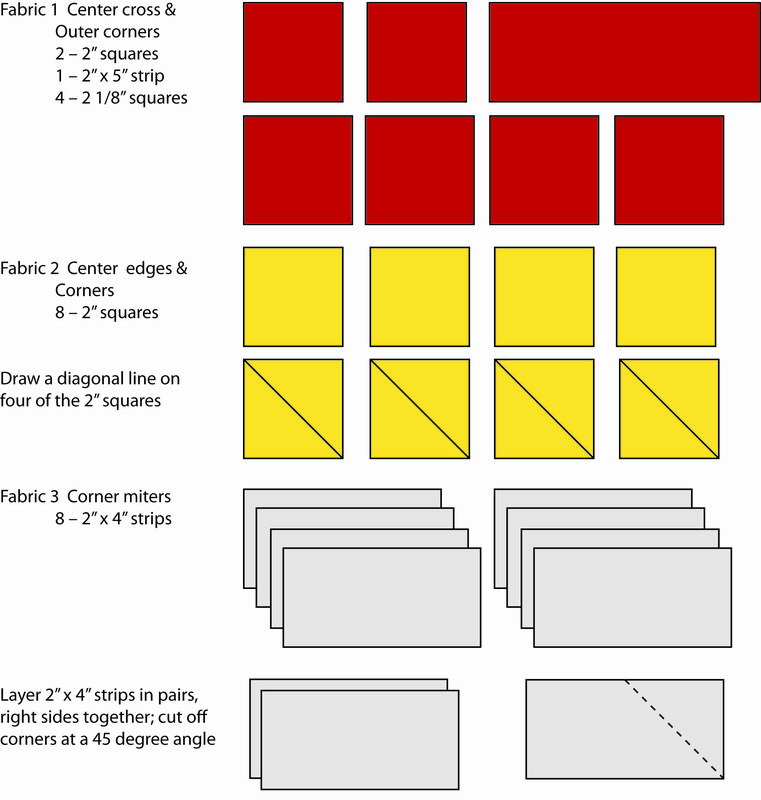 If you do, each half of the block should measure 1 3/4″ (i.e., don’t just trim the square to 3 1/2″, make sure the corner square is 1 3/4″ and the mitered pieces are 1 3/4″).